An employee at a San Diego gun store where a woman reportedly bought a pistol she later used to shoot three people at YouTube headquarters said Friday there was nothing remarkable about the transaction and in fact he does not remember her at all. Manny Mendoza, rangemaster at The Gun Range, told NBC 7 San Diego Friday that he couldn't confirm an earlier report from Bay Area News Group that Nasim Aghdam had purchased a firearm from the business. Mendoza told NBC 7 that Gun Range employees have not gone through transaction records to confirm any purchases made by the shooter, and that even if they had, he would not share that information publicly. Mendoza said that he does not remember Aghdam using the firing range or purchasing anything from the store. 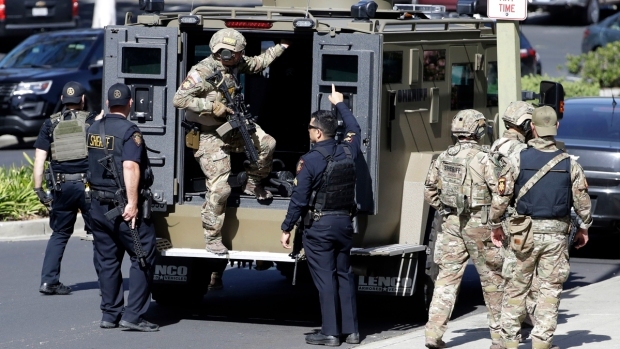 Aghdam, an Iranian native in her late 30s, walked through a parking garage into a courtyard at the YouTube campus in San Bruno, Calif., Tuesday and opened fire, police said. She wounded three people before killing herself. San Bruno Police Commander Geoff Caldwell said Aghdam legally bought a 9mm handgun Jan. 16 and that it was registered in her name. Officers recovered the pistol with two magazines from the crime scene. Two of the shooting victims were released from the hospital but the last victim, a man in his 30s, remained in fair condition Friday, according to a San Francisco General Hospital spokesperson. Authorities and family members have said Aghdam was angry about the policies and practices of YouTube. Aghdam was prolific at producing videos and posting them to the platform. She exercised, promoted animal rights and explained the vegan diet, often in productions with elaborate costumes or carrying a rabbit.